We are experiencing the least productive Congress in the history of our nation. The 113th is setting new records in obstruction, inaction, showmanship, and utter contempt of the people they’re supposed to represent and work for in Washington DC. The Republican party has controlled the House of Representatives since the 2010 midterms. They took control away from a Democratic controlled House that was very productive in passing legislation the nation wanted and needed. They were so productive, the GOP was able to rely on their base who hate any and all government and the historic voter apathy of Democrats during midterms to take control. Although they still do not control the Senate, they have enough in there to impose a record number of filibusters that has effectively stopped anything productive from passing in the Senate. Why are the Republicans doing this? They themselves have made it clear from day one of the Obama Presidency, they wanted this president to fail. They met to ensure they would do all that they could to block as much as they could to make this president a “failed” president. Even if it was to push for and pass legislation traditionally favored by Republicans and conservatives, they would block it. They couldn’t care less about what this would do to the nation that elected them, because they place party power over the well-being of the nation. They knew they could count on a small fringe element of angry unthinking and quite suicidal nut jobs who rally under the pathetic banner of “no government” to support their cause. They knew that with the growing Tea Party movement, they could elect “anti government” representatives to government to help destroy government. As with most people who fail to think things out, they hadn’t figured out what they would do if they were successful. They know how to break things, but why would anyone then want to take control of something broken and beyond repair. Yes this is insanity. 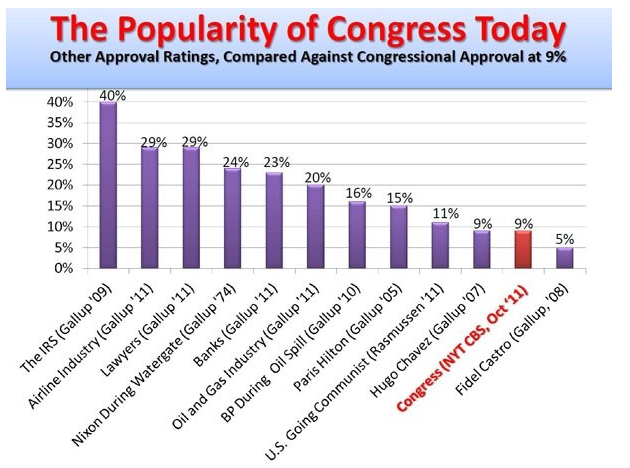 All of the above and more are things the majority of all Americans across all party affiliations support, but have been blocked or stalled in the Senate and especially in the Republican controlled House of Representatives. What the House has passed (things mind you dead on arrival in the Senate) have been over 50 votes to repeal the Patient Protection and Affordable Care Act (also known as ObamaCare). They have funded fruitless and expensive investigations into faux scandals like Benghazi, the IRS and Fast and Furious, all of which despite ongoing proof there is no “there there” they continue to push and push and push in hopes of coming up with something. And now, despite the fact that no one is taking this course of action seriously, they are now voting to allow the House, not the full Congress, to sue President Obama. Originally Boehner said he was going to sue, but wouldn’t elaborate over exactly what he would sue over. Only recently did he decide to sue over Obama not imposing a small business mandate in ACA that at the time Boehner and the House approved because it was after all slowing down ObamaCare. they now want to sue Obama for trying to stop what they wanted stopped. Not even Aaron Sorkin could write a better plot here. It is ironic that even with the deep recession created by Republican Policy during the Bush years, and the Republican stalling of government action to alleviate and reverse the recession and grow our economy, the productivity of the United States continues to improve. 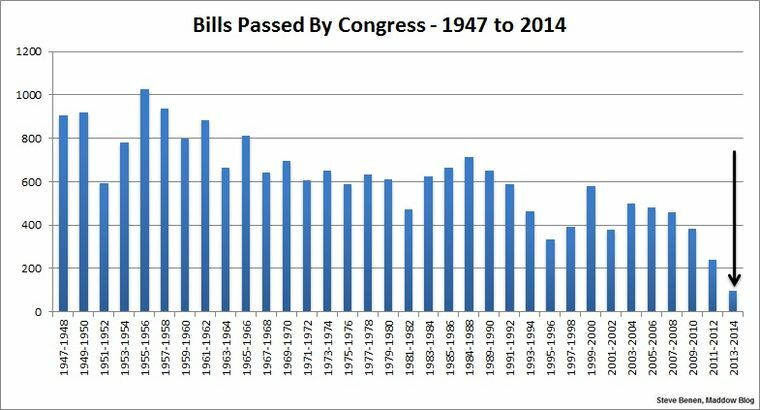 It is only the productivity of the US Congress that has declined. This must end. If we are to remain the richest, most powerful and envied nation on the planet we need a government that is in tune with the American people. A government of, by and for the people as it were. A government deserving of the people they represent. The Republicans who play to the Corporate interests and the Tea Party fringe elements are already on record as being opposed to anything that will help America because by doing so it would make Obama look good. This country is too important to allow this childish behavior to continue unchecked. This inaction harms all Americans, harms the poor, working class, middle class and even some of the wealthy. It harms Democrats, Republicans, Libertarians, people of all political ideology. It harms people of all faiths and those who don’t ascribe to any faith. It harms US Citizens and non Citizens alike. This harms all of us and all of us must act to correct this and send a message to any party wishing to have a say in Washington, you must place the American people over your party at all times which means working across the aisles and even working with a Black Democrat. We all know who the obstructionists are, who they are aligned with. They must be voted out of office in November. They must be replaced with those willing to compromise and work on behalf of all of their constituents, even those who don’t vote for them. At this time in history this means maintaining Democratic Control of the Senate and giving the House back to the Democrats. If the Republicans suffer this defeat in November, then perhaps they will shed themselves of this cancerous base of theirs, move back towards the center and work for the Nation, not the special interests. We need to do what our grandparents did in the 1930’s. That ushered in nearly 50 years of continued economic growth and success of our nation. We know what ended that (hint, his initials are Ronald Wilson Reagan). Get registered, get informed, get motivated and get to the polls in November and let’s get a productive Congress worthy of all the people of this nation.